Get turned on like you never have before with this sensual blend of damiana, catuaba, muira puama, vanilla and other natural botanicals. 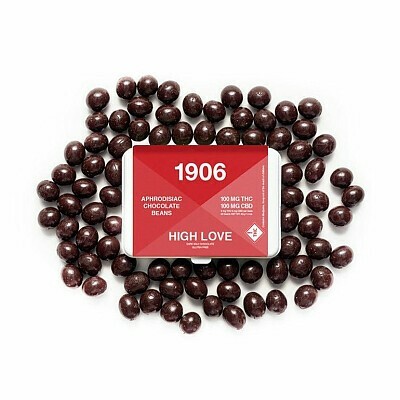 HIGH LOVE Beans are hand-picked, fresh roasted coffee beans coated in exquisite dark chocolate; deliciously smooth with a satisfying crunch, all without any cannabis flavor. Our premium edibles are scientifically engineered to deliver a fast-acting experience in 20 minutes or less. 100 MG THC and 100 MG CBD in each HIGH LOVE BEAN.